But that's okay. Really, it is. Because I'd probably have been given some off-brand that just didn't make my taste buds tingle. Chocolate is chocolate, you say? No way! There are certain brands of chocolate that are just miles above the rest. Oh yeah.... Ghirardelli makes some of the BEST chocolate ever to tempt my taste buds! And now they have a new addition to their fabulous line of products that just makes me want to purr like a kitten. 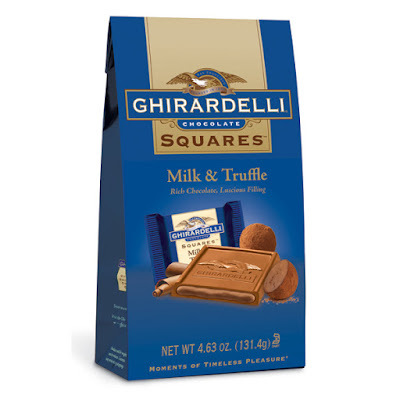 Introducing new Ghirardelli Milk & Truffle Squares! This is one decidedly delicious treat. Rich slow-melting milk and dark chocolate surrounds a sumptuous truffle filling. The mix of milk and dark chocolate and the creamy chocolate truffle filling just melts on your tongue and satisfies not just a chocolate craving but the desire for something decadent and gourmet. I've always loved the variety of Ghirardelli Squares, and appreciate that they are individually wrapped so you can eat as many or as few as you desire. But these new Milk & Truffle Squares are going to the top of my favorites list. They are THAT good!! Try some today. 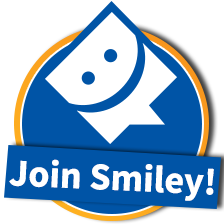 You can find them at Target, Supercenters, and Walgreens nationwide. At a retail price of $3.75 per bag, this is one chocolate indulgence you can purchase for yourself. I love long hair. Always have. It's a lot of trouble, I must admit. Takes forever to dry, and then styling takes forever too. But the few times I've cut it and tried a shorter hairdo, I hated it. Wanted my long hair back. So I just get it trimmed now and then, but basically I have always had and hopefully will always have long hair, several inches past my shoulders. I love the versatility of long hair. Love being able to wear a ponytail, or braids, or curl it and fluff it out, or just straight and healthy-looking. So many ways to wear long hair. But long hair does take a beating that shorter hairstyles do not. If you have short hair, you probably get it trimmed a lot more often to maintain your cut. So any damaged hair is trimmed away. With longer hair, the damage is more significant because it's been a process of time, and my hair certainly shows the damage. My hair is also naturally wavy, almost curly in fact. But that leads to frizz, and I HATE frizz!! My hair will curl easily, but I really have to put the heat to it to tame the frizz by smoothing the cuticle. That's why I was very interested in trying a new product called MacVoil. This extraordinary combination of Macademia oil, Moroccan Argan oil and Cypress oil really helps tame the frizzies and makes my hair so soft and manageable I can hardly believe it. Oh, and it's also great for your skin! If you're like me, the winter months really take a toll not just on your hair but your skin too. I rubbed some of this oil on my hands and the "alligator skin" virtually disappeared. 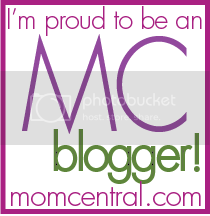 It's non-greasy too, which is a blessing if you consider all the "oils" in MacVoil! 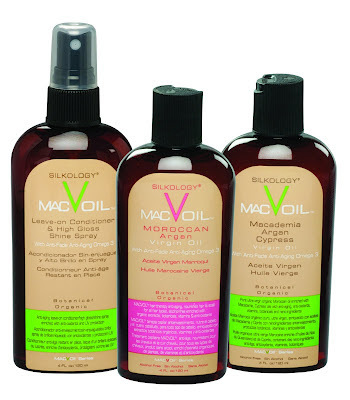 MACVOIL™ is an ultra light therapeutic treatment for all hair types. Moisturizes, nourishes, and detangles for frizz-free, smooth, shiny hair. 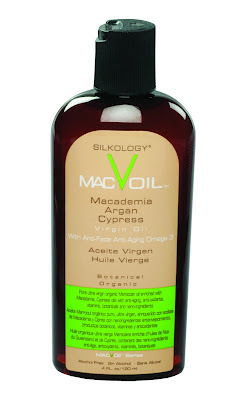 MACVOIL™ Oil with UV protection extends the life of color-treated hair, reduces drying time by 35% and rejuvenates dry/brittle hair back to health. Great for skin, scalp, nails, and cuticles. I wanted to take some pictures to show you the dramatic difference in my long hair before and after using MacVoil, but no one was available to help take the photos and I never have any luck taking pics of myself in a mirror. :) So you'll just have to take my word for it.... THIS STUFF WORKS GREAT!! And it doesn't take a lot. I simply poured some MacVoil in my palm about the size of a quarter, then rubbed my palms together and gently smoothed it into the bottom part of my hair. I didn't use it up close to the crown or scalp, since my long hair generally tends to weigh down top hair anyway, but next time I may try massaging it into my scalp as well since the oils in the product are so beneficial to skin and scalp. My hair was instantly and noticeably softer. And yes, it took a lot less time to dry than normal. That's a big plus for me, especially on workday mornings when I'm already rushed for time! My hair was so easy to comb too. The oils act as a detangler, and I noticed I didn't yank out nearly as many hairs as I usually do when combing after shampooing. 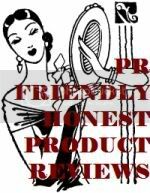 But the best part to me was how easily I was able to smooth the hair cuticle with heat styling tools to eliminate frizzing. Huzzah! It works! My hair was soft, straight, yet still bouncy and vibrant. Just the way I like it! This is definitely a product you want to try for yourself if you have trouble with damaged hair. Dry, frizzy, lifeless hair instantly responds to this intensive treatment without becoming oily in the process. I'm so used to thinking of something like baby oil when I hear the word "oil" in regards to hair and skin products. But macadamia oil, Moroccan argan oil, and cypress oil are nothing like baby oil. They are lightweight and easily absorbed into hair and skin, leaving a non-greasy feeling.